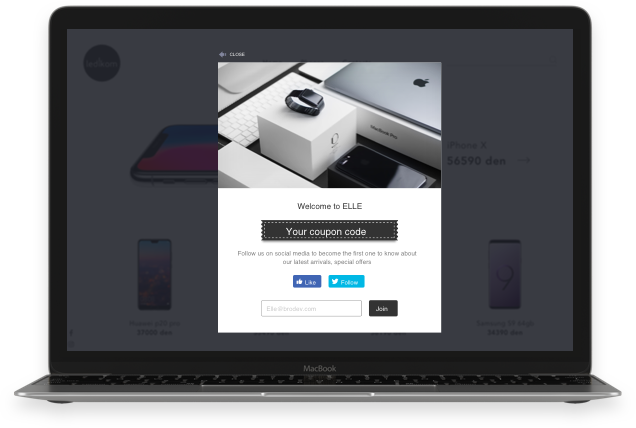 Turn visitors into subscribers, social fans, and increase sales with coupon pop-ups. Every visitor costs you dollars to acquire. 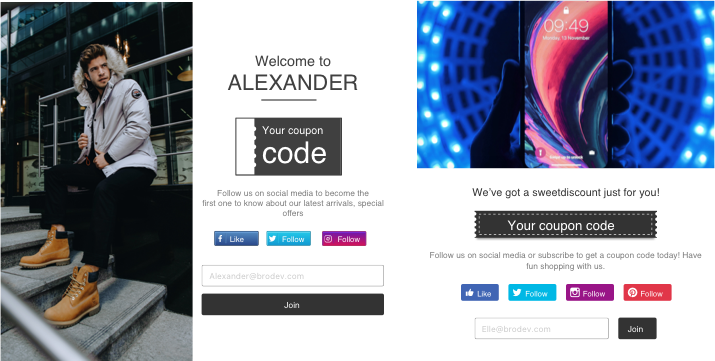 Turn them into potential customers by offering a coupon in exchange for their emails or social follows with our beautiful pop-ups. 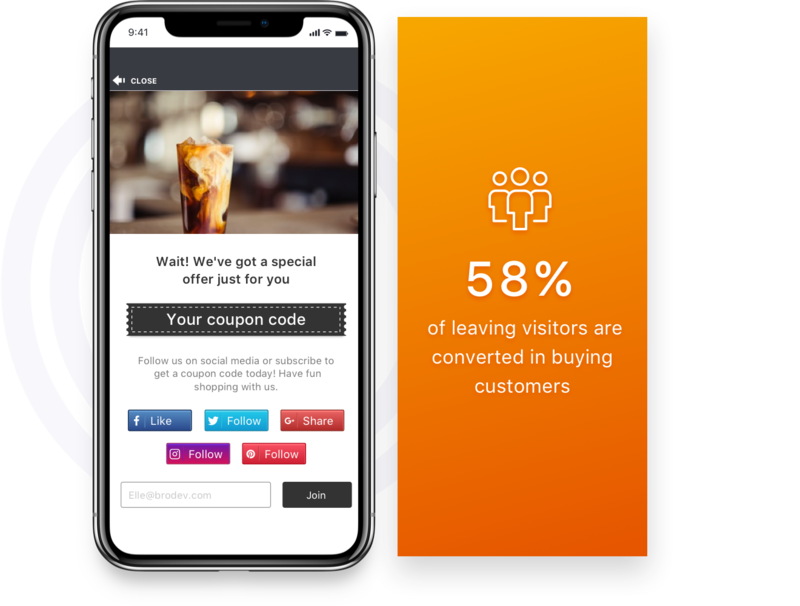 By tracking every visitor's mouse movement to detect the moment they are about to abandon your online store, Better Coupon Box helps you show exit-intent pop-ups right before they leave to offer an enticing coupon and convince them to make a purchase. We've prepared for you 10+ highly customizable templates to bring the best experience to your customers. 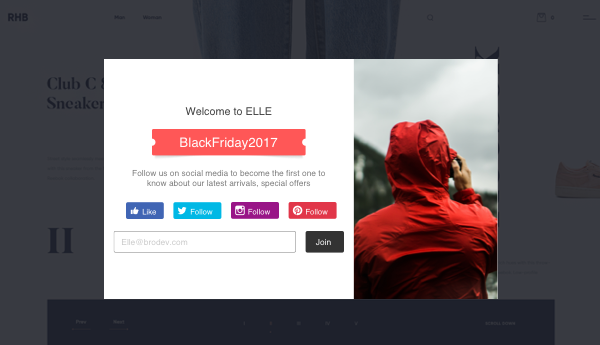 You can also design your own pop-up template that matches your store's theme, using our flexible CSS custom editor. 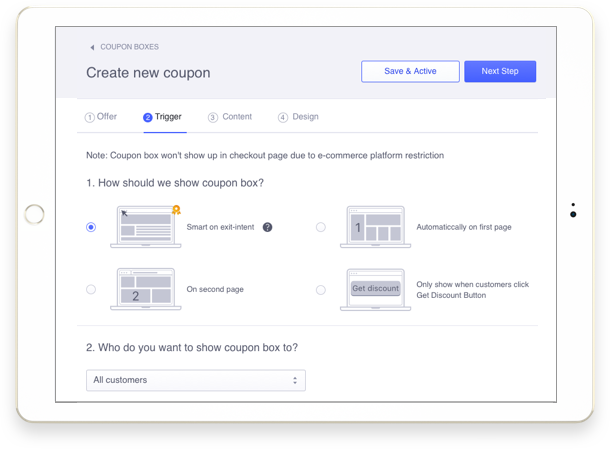 You can select specific pages to display a pop-up campaign, or choose specific customer groups (all, new, or returning) to grant coupons. By triggering your pop-ups to target groups, you can save 70% of marketing cost and still reach a high ROI. Start it out totally free, no credit card, no coding skill required. We prepared everything so you can easily create your own unique pop-ups in 60 seconds flat. We make it easy and instant for you to sync your email list with most popular email services like MailChimp, Constant Contact, Klaviyo, etc. so you can turn your subscribers into revenue by sending personalized follow-up emails. We've optimized UI/UX on both front-end and back-end of the app to make it the easiest and most simple app for you to create the most impressive popups for your customers. "I highly recommend this app. It's good for collecting emails (which is super crucial for any ECom site) and it intrigues potential customers with discounts!" "I love Beeketing apps! They are super easy to use and a huge time saver! Thank you Beeketing!" "Amazing app. Really very helpfull for coupon offer to my customers. Thank you so much for the app! Love it!" "A must have app with heaps of options, i'd totally recommend this to anyone with an ecommerce store." "Hello guys! I am here to tell what I think about this app. It is wonderful and helped our business to create many CTA based on coupon. We love it! I recommend to everyone!"